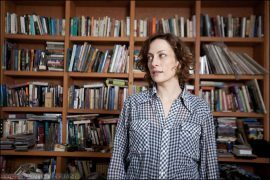 A conversation with Sarah Harmer about Summerfolk, her new album and her activism | Rrampt. MM: What was it like to hike the Bruce Trail with a band? SH: It was really fun. Nobody had really done that much exploring in the area, me included. I hadn’t been up to Tobermory and down through the Grotto. It was like a summer camp trek, with shows obviously. MM: What’s your perspective on the current health of the escarpment? Are you still involved with PERL (Protecting Escarpment Rural Land)? SH: Yes, we’re still an entity. … There’s definitely still major threats ongoing. There’s one in Burlington, on the Escarpment, but just outside the Niagara Escarpment Plan. It’s all salamander habitat, and it’s under threat from a grandfather’s licence of a shale quarry. It really does seem like, more than anything I’ve experienced in my lifetime, that things are really at risk and it’s going to be taken to the streets, from every different angle, through the bureaucracies and through the different organizations, but it’s going to come down to numbers and people really engaging. That’s generally speaking, whether it’s environmental protections or whatever is at risk right now, which seems to be quite a lot of things. MM: What projects are you most excited about right now? SH: I have, on my hard drive in my basement, a roughly mixed new record that I’ve been ignoring for months and months and months now. So, now that we have this house totally finished – I’ve just been chipping paint and ripping up carpets and fixing this beautiful old place…So, now I’m trying to get back to these songs… I’m excited about putting the blinders on… That will be huge because it’s been a long time since I put out a record and it’s been a big stumbling block…And then going out and being a musician again and doing tours. I just need to crank up the mojo for that. At Loughborough Lake, on Johnson Point, we started this community group, and we just incorporated two days ago… called POW – Protecting Ontario’s Wildlife.. it’s really compelling stuff. MM: Congratulations on the new incorporation and POW. On that subject, any advice for fledgling activists? SH: Enjoy it. Try to make it romantic. I just met with one of the women [in POW], Yvonne, and I met her on the dock. She came down in her boat for us to sign the incorporation papers! It can be really dry work… you aren’t the most welcome person sometimes when you are asking elected officials to do their job. Doing the heavy lifting is sometimes not that glamorous, so it’s good to try to enjoy it and have meetings where you can go for a swim afterwards. Regardless of the end result, you make it fun. And also, get your facts straight. It’s important to develop credibility and to really know what you’re talking about before you get out there. That credibility, especially with government agencies, is crucial. MM: You’ve been talking about a lot of different projects, and something I’ve been thinking about a lot is trying to slow down and focus on one thing at a time. So, at this chapter in your life, how do you chose your projects? SH: Lately, in the past few years, I haven’t done much planning because I’m not a very good planner. I don’t think ahead very naturally, and so, some people would go stir crazy with the schedule I have because it’s very open, but it also gives me freedom to respond to things that cross my path. For music stuff, I’m trying to develop more discipline… because I know the power of music and I really just want to focus on that…for a spell. But I think one of the reasons I’ve been putting it off and been so distracted is because it is all encompassing when you’re doing it. It’s amazing, but everything else, like paying the bills and doing other day-to-day stuff I do now, doesn’t figure into your mental brain when you’re on tour. MM: You’ve released albums across traditional genre divides – where are you the most musically at home and why? And the new work you’re working on – where will that fall? SH: I think the most natural place that I like to make music is when I have a friend or two come over, my friend Jay Euringer who I made Song for Clem with back in 1999, when he comes by, and we pull out guitars, and my friend Benji [Perosin], he plays…piano and the three of us hang out and play new songs, and we’re playing and singing. And in my mind, I’m like, “This sounds great. This is so easy.”…The acoustic in the room, no technology involved…. But then I have the other side of me, which is like, “I want this to sound slamming on the dance floor.” I want this song to be big and to crank it up in my car and for it to really take me away. And, Owen Sound, I’m really looking forward to it because my niece Georgia is going to be singing with us on the Friday night, so there’s going to be lots of harmonies, but it will be a big outdoor show, so it will be a fuller band. MM: You played Summerfolk once before (2010)… How will this show be different? SH: Well, it’s 8 years later… so it’s a different band – it’s Jon McCann, who plays drums with me. He was the Weeping Tile drummer, so an old Kingston friend. My brother-in-law Gord, Gord Tuft, he’ll be playing electric guitar, and he played on the first Weeping Tile EP, so we’ve played on and off together for years. His daughter is going to be singing with us, so sort of a family band vibe. And Ben Whiteley will be playing bass and I’ve been playing with him for a couple years too. We’ll play a few new songs and definitely some older tunes too. I hope we get a nice evening and everyone is comfortable and we have a good night. MM: Last question – who are you listening to right now? SH: That is a good question… the band I just love – Lizzie Powell and her band, Land of Talk. I love Land of Talk – I could listen to them all the time. And what else? Just got the new Neko Case record, so I’m just getting into that. I also love her stuff. Afie, Bahamas who are playing [Sunday] – that album sounds so good. I’m just so impressed by the fidelity and quality. You hear those tunes on the radio and you’re like, “These sound amazing.” So, I’m enamoured with Afie’s new record too. MM: Have you had a chance to look at the Summerfolk lineup? Anyone in particular who you are excited to see? SH: I’m really excited to see Bahamas because I know they’ve been touring like crazy and I imagine they are just sounding dope. And I don’t know actually who else. Anyone you can recommend? SH: Oh, Rose is on the show? Great! 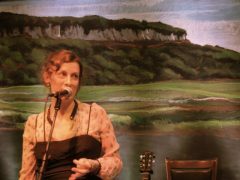 … I’m glad to hear Rose Cousins is playing. 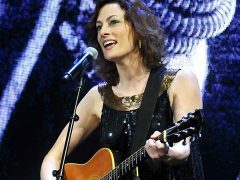 She has such a beautiful voice and I haven’t seen her play a show. So, I’m going to check the sched. 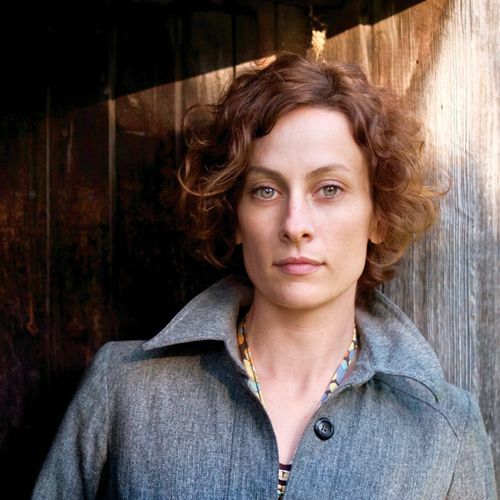 The lovely Sarah Harmer (and John, Gord, Ben and Georgia) will be playing on Friday at 10:00 in the Amphitheatre.